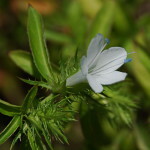 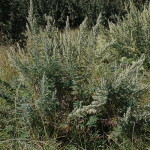 The silver-grey leaves are aromatic and has sprays of small white flowers at the tips of the stems. 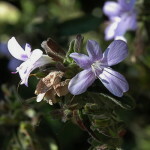 This lovely Barleria flowers profusely in late summer/ autumn and is a good subject for a rockery. 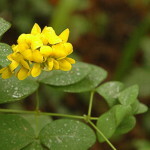 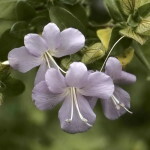 Due to its thorny nature, it can form a very good barrier. 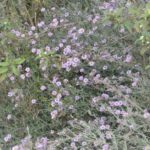 This small shrub has masses of gorgeous, huge pink or blue flowers in summer, which are sweet smelling at night and have copious amounts of nectar that attracts Carpenter Bees. 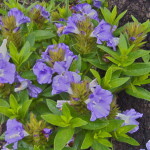 It is ideal for a sunny spot in the garden or to control erosion on embankments. 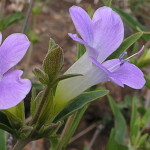 Barleria monticola is a cushion-like plant that often occurs in colonies in moist grassland. 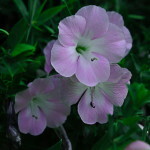 It is very showy when in flower and is very hardy. 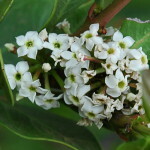 This beautiful shrublet normally occurs below trees and is very attractive if interplanted with grasses and other perennials.